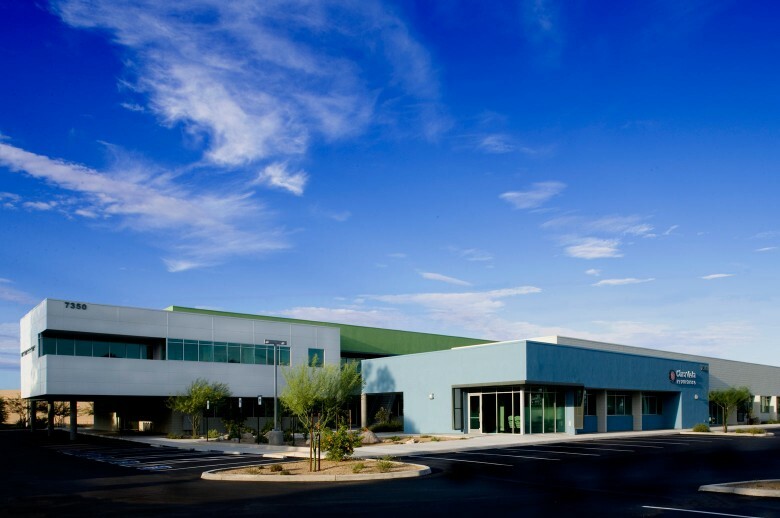 Swaim Associates’ new home is part of a 27,000 SF professional office complex along the Pantano Wash. The complex is already becoming somewhat of a landmark on East Speedway with its bold green second story and steel eyebrows. The eyebrows allow the building to take advantage of the expansive northern views while blocking out the harsh western sun. Skylights and carefully placed windows provide significant daylighting. A section of the City of Tucson’s linear park system was developed as a part of the project.